Imogen's Typewriter. 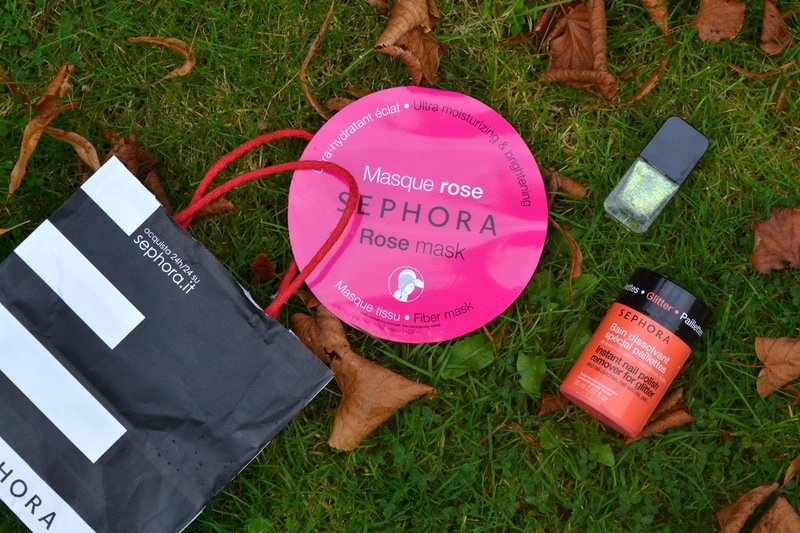 : A Sephora Haul from Rome! While I was in Rome you know I had to pop by Sephora even if I was battling with a miserable cold and wanted to stay in the comfy comfy hotel bed. Because that's what beauty bloggers do. If you have the opportunity to go to Sephora, you go. Even if you sniffle all the way there. I think I was pretty restrained! I went in with €30 and came out with some change which was good for me. The first thing I saw when I walked in was a stand for the Formula X nail polishes that everyone in America has had for ages and this green glitter, 'Drawn to You', was calling to me. I love green and I love glitter. It was the most expensive thing I bought at about €15 but it is a beaut. 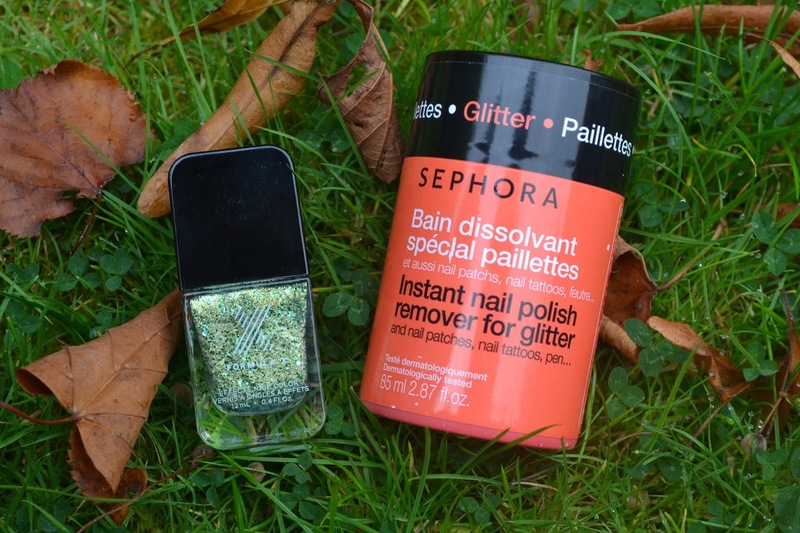 Speaking of glitter, my nail polish remover pot was taken from me at airport security *sobs* so I went to go look for another one and when I saw that this one was specially for glitter- notably the most difficult thing to remover ever- I had to get it. At around €9, it wasn't the cheapest on the market but if it gets my glitter off easy then it'll be totally worth it. The kitten came to say Hi while I took this picture and actually fixed the white balance problem I was having so! Near the checkout I saw these Sephora own brand sheet masks and the rose one stood out to me. 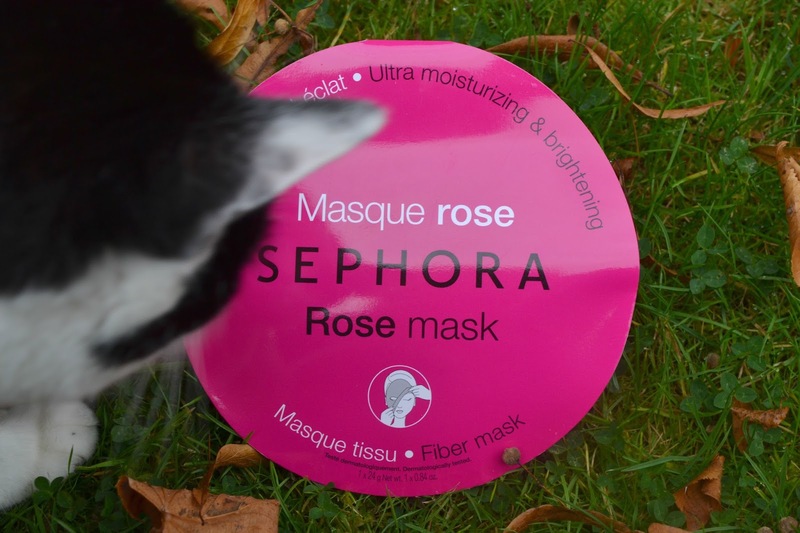 I love the scent of rose as well as it being my middle name, and since winter is coming up- a 'Ultra Moisturizing and Brightening' mask sounded like a winner. It cost just under €4. I'll report back if it's any good. Have you ever tried any of the things I got? What would you get with €30 at Sephora?